We’ll admit, it took us a while to figure out how to incorporate Buffer into our marketing plan. But now, it’s part of our daily marketing tasks. Today, we’ll talk about the social media scheduler, and some ways that you can use it to complement your social media. 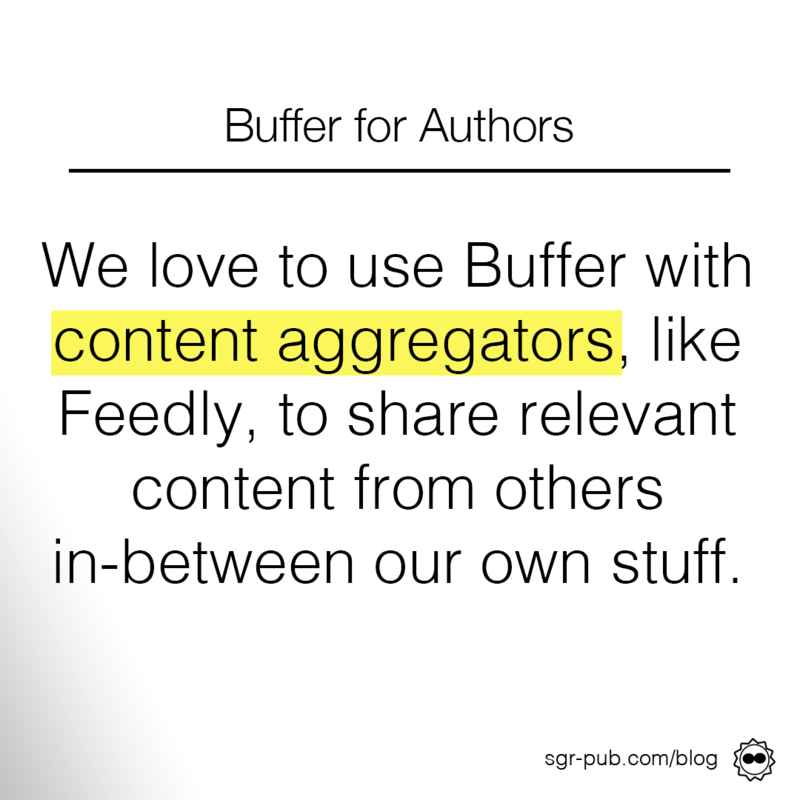 Buffer for authors can be an incredible tool! The free version offers you ten slots to fill up for a pre-set schedule that posts the same time every day. Depending on your social media needs, you could do all ten in one day, or space them out over a few days or a week. One of the big reasons why we couldn’t crack the Buffer nut is we don’t work so much in queues. We like auto-scheduling functions which post different content at different times. We piloted Buffer with CoSchedule, and we ended up with a series of Twitter posts about a single blog post without anything in-between. Or, when it was an off day, we’d end up with one post at 7am every day (because we didn’t have anything else in our queue). What we started doing instead was to combine it with Feedly, which allows us to aggregate blogs from marketing, publishing, SEO, and any of the other topics that we blog about. 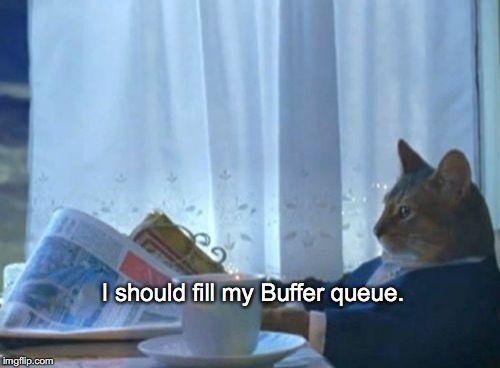 Then, every morning, we browse through posts and pick our favorites, adding them to our Buffer queue. We can also use the Chrome add-in to re-share directly from the browser. In essence, we use CoSchedule’s autoscheduler to post our content and Buffer to share information from others. It gives us that right balance between self-promotion and sharing good content from other people. One of the great things about Buffer is the schedule. If you’re an indie author, your fanbase is probably international. You can use the Buffer scheduler to post content all 24 hours, allowing you to do things like write your books instead of being attached to Social Media. We are also BIG fans of the Re-Buffer feature. When we have an article that resonates with us and our fans, we can re-add it to the queue. Buffer provides fantastic analytics on each of your posts to see which got the most likes, retweets and shares, and comments. If you’re not a fan of Feedly, you can add a “Buffer button” to your internet browser or, when you download the app, you’ll get an option to share a link to your Buffer. This is really useful for re-tweeting followers, and helps space out your content without having to sit on a website. Finally, and this is probably more helpful with the paid users (who get up to 100 Buffer posts in their queue), the shuffle feature is beneficial if you’ve added a few items from the same source and want to mix it up a bit. Have you tried Buffer? What are your favorite tips?